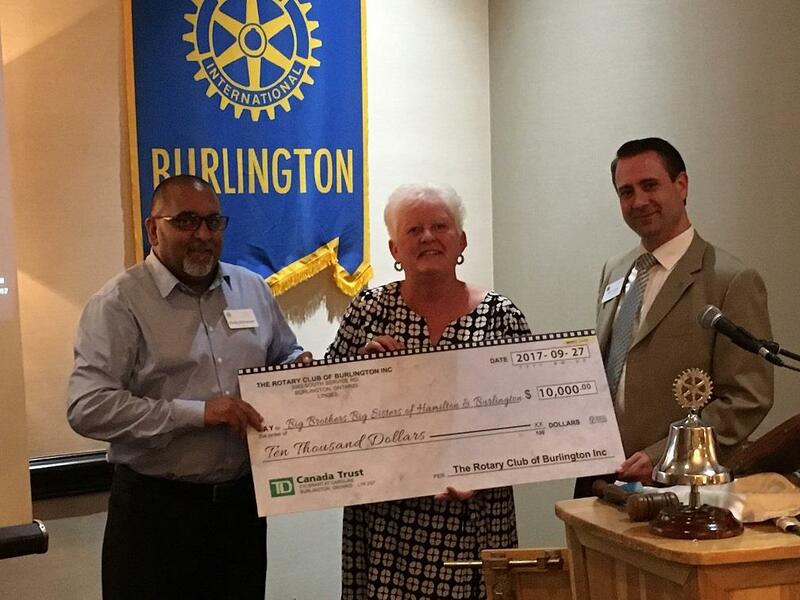 Big Brothers Big Sisters Cheque Presentation - On Wednesday September 26th, the Rotary Club of Burlington, proudly presented a cheque in the amount of $10,000 to the Big Brothers Big Sisters (BBBS). Shafiq Mohammed (pictured below on the left), who is both a Rotarian and a board member of BBBS, helped establish the relationship between the two organizations. Receiving the cheque is Marianne Noakes and beside her is the Rotary club president-elect Matt Ardrey.